We had a great turnout despite the bad weather. Over 30 people attended with 5 Instructors teaching the sport of Pickleball. 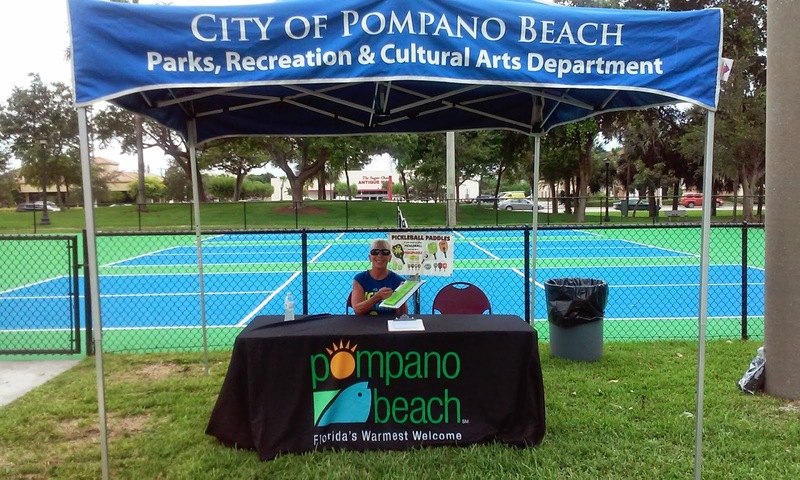 I want to thank Barbie, Jan and Michael and Jennifer, Lowell, Dennis, Alex and Sonia, and most importantly the City of Pompano Beach for building 5 Permanent Pickleball Courts.